Many of our customers utilize HubSpot to manage sales and marketing automation and maintain contact records. With our integration, you can send captured leads and activity in Drift over to your HubSpot instance! 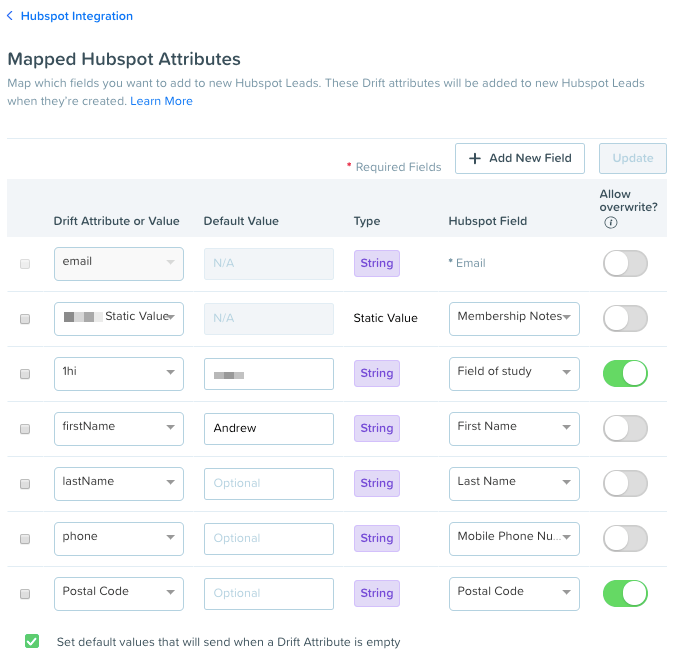 Our HubSpot integration is available only on Drift's Pro Plan and above. This integration requires a HubSpot account with API access turned on (should be all plans). The user who connects this integration also needs to be an superadmin in HubSpot. 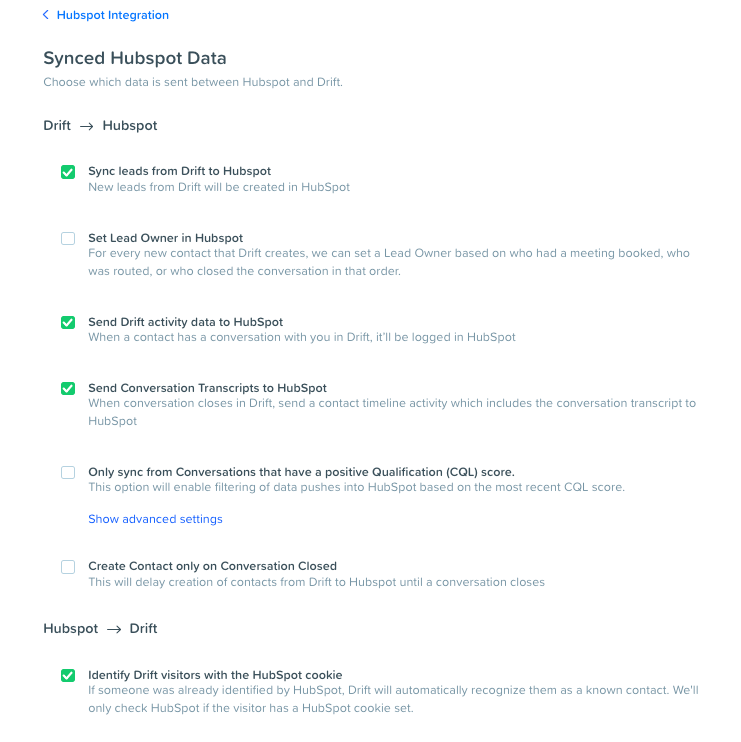 All new contacts added into Drift, from the moment you connect the integration and forward, will be automatically synced in to HubSpot's database as soon as they provide their email. If you would like to to delay this, you can do that in your HubSpot Sync Settings. If you have contacts in HubSpot, those contacts will be recognized by Drift as well using HubSpot's cookie! When a conversation is closed in Drift, we sync attributes for the contact. We also log the Drift conversation link as an event on the HubSpot record. HubSpot events are only available on the HubSpot Pro and HubSpot Enterprise plans. To use HubSpot events as triggers, you will need to have the HubSpot Enterprise plan. After integrating HubSpot with Drift, if somebody gets cookied via HubSpot (they filled out a HubSpot form, clicked on a link from a HubSpot email), the next time they come to your site, we'll already know who they are and their email address - it's like magic! If somebody is cookied but there is no contact email in HubSpot, when they do provide an email within a conversation, we'll create a form in HubSpot named "Drift" and make a submission to that form with that email and cookie. 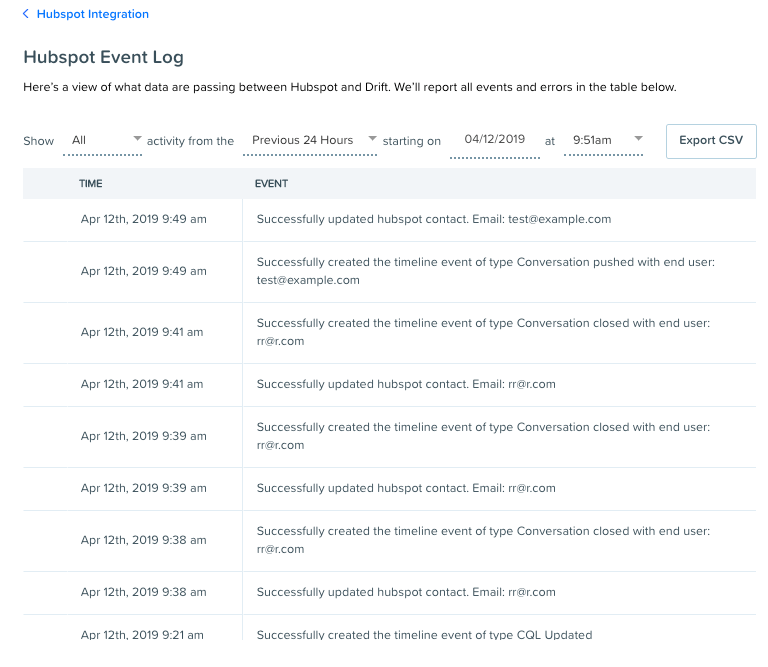 If cookie identification is disabled or a contact did not have the HubSpot cookie, created contacts will be labeled in HubSpot as "Offline Source"
Below is what the Drift event looks like in the HubSpot timeline. To learn more about HubSpot Events, click here! If you want to learn more about what Drift properties in HubSpot mean, click here. Head to Settings > App Settings > Integrations > HubSpot, or, click here. Log in with your Hubspot credentials. Under Synced HubSpot Data, you can choose to sync leads, set lead ownership, send Drift activity and/or chat transcripts to HubSpot. You can also filter which leads get synced to HubSpot by setting a minimum CQL score! 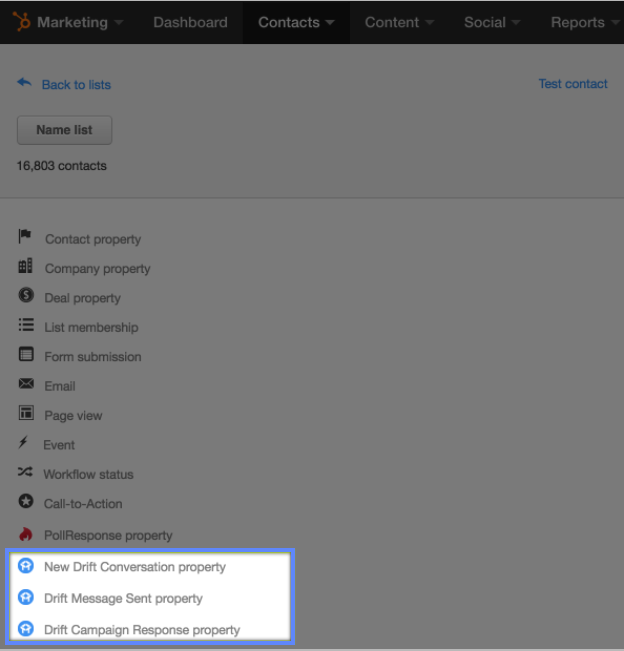 With HubSpot, you also have the option to create the contact only when the conversation is closed. Without this option, contacts will be pushed to HubSpot immediately when an email is captured. All other attributes and data will be pushed at the time the conversation is closed. Additionally, you can elect to Identify Drift visitors with the HubSpot cookie so that when a user you've identified in HubSpot engages with your greeting or Playbook, we'll have their email address pre-populated in the conversation view! You'll most likely want to sync many pieces of contact data onto your HubSpot records. Mapping attributes will ensure you get the most data out of Drift and into HubSpot. For the full doc on mapping attributes in HubSpot, click here. Under Mapped HubSpot Users, you can map your HubSpot users to Drift users for the purposes of lead ownership. Clicking Map New HubSpot Users will add more fields so you can add additional teammates. To check the activity that you're syncing to HubSpot, you can always check your Event Log. You can sort by time period, and activity, including errors. Errors will appear in red. Why don't I see a lead/contact created in Drift synced to HubSpot. First, go to the most recent conversation with this contact in Drift. If you enabled Create contact only on conversation closed, make sure that this conversation was closed either by the bot or by a user in your organization. Then, check the event log. Sort by date and time and check to see if there's an event for that lead or contact. Check both the time at which the conversation started and the time at which the conversation was closed (you can see these timestamps in the conversation view). If you see an error, you can try to re-open and re-close the conversation to try the sync again, or you'll see helpful information about why the sync failed, i.e., improper permissions or field type access. If you don't see an error, check the conversation and make sure that the lead or contact meets your Sync settings, such as minimum CQL score, if you're using that feature. If you still don't see it, let us know!